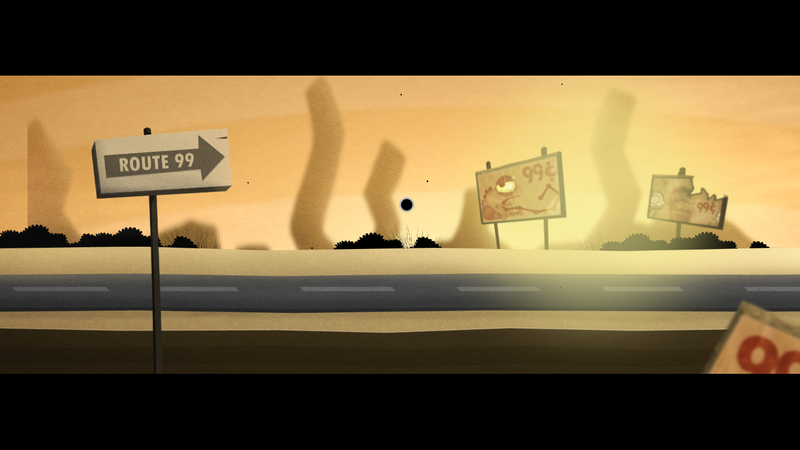 Changed level text for Route 99 according to the latest iOS version. Add a homemade up icon on the world view. Using the latest resources. Changed the island icon for island5. 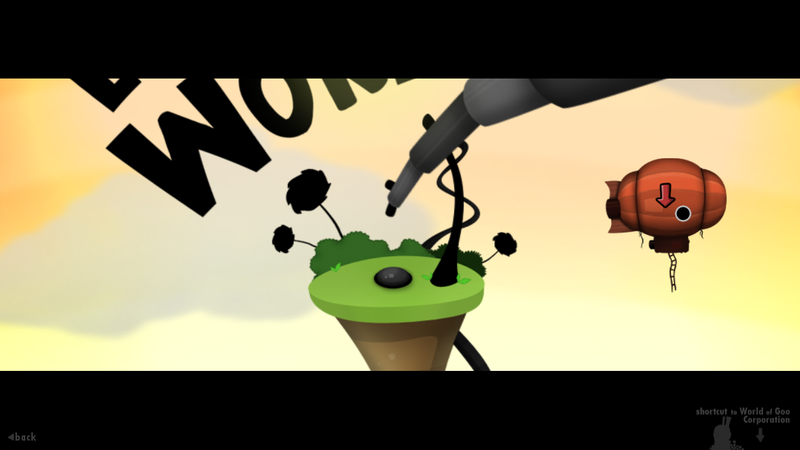 Added a particle effect and some unused resources. Feel free to use these resources. 1. Moved Route 99 to island4. 2. Moved Mighty Blimp to island5 and show on MapWorldView. Now you can see your blimp on the world. P.S. 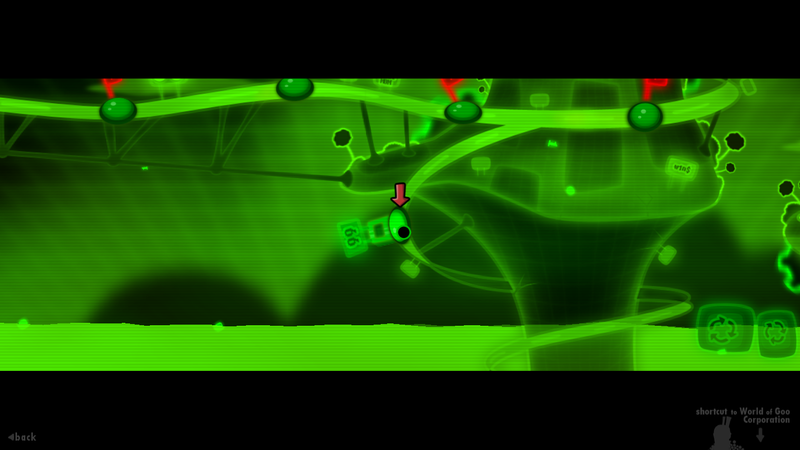 You'll find that after you click the blimp on MapWorldView you will go to island5. But I have to do that. I tried my best to let the level be same. There is 1 current download. Show 3 archived downloads. If you want, I can help you put the Route 99 level in Information Super Highway? 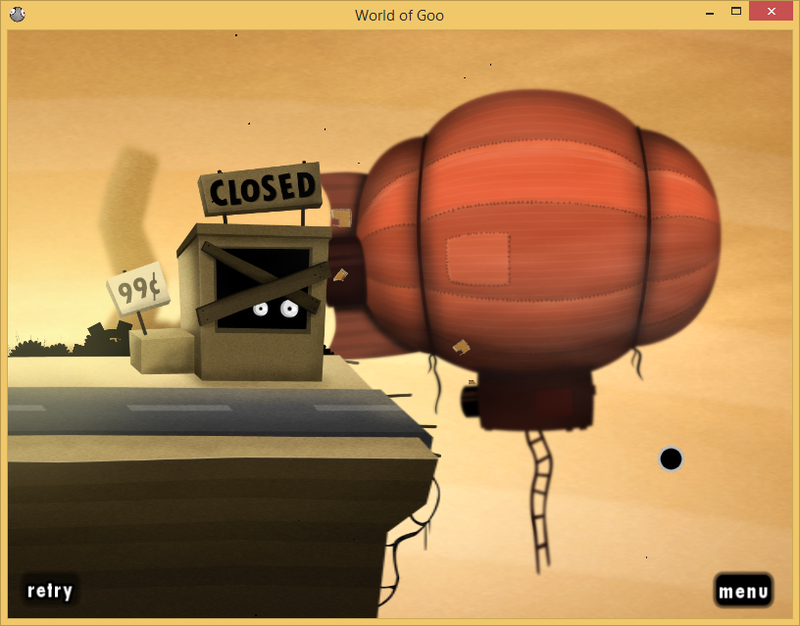 Putting the blimp chapter in MapWorldView may be hard though. "The best Weaponry is Forged in the Hottest of Flames"
You just showed me a meat boy!!!!!!!!!!!!! Good, you steal my idea at good time...good job! Sorry, I just want to make a add-in about Easter Eggs and I made it. How did you do that? 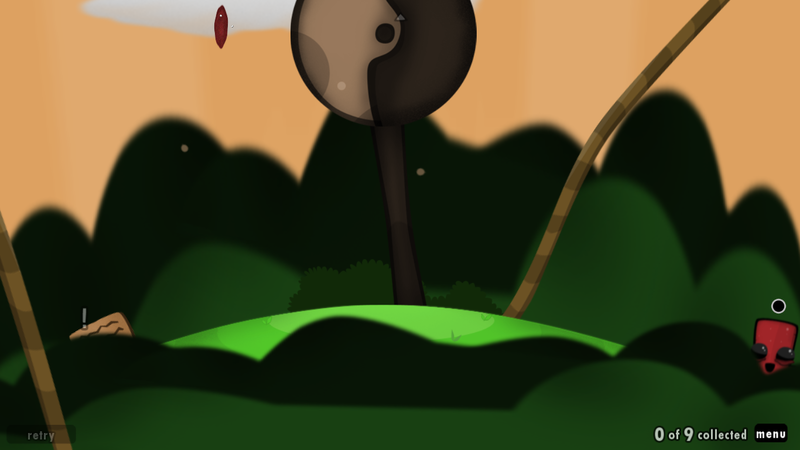 Edit the level island4 or somehow on GooTool? And I also want it. Help me to make it please. What you need to do is use a Merge file to put the new button into island4.scene, and the new level into island4.xml. Great job! Clever, with the signposts. Whats so special in this thing??? RUBBISH!!!!!!!!!!!!!!!!!! 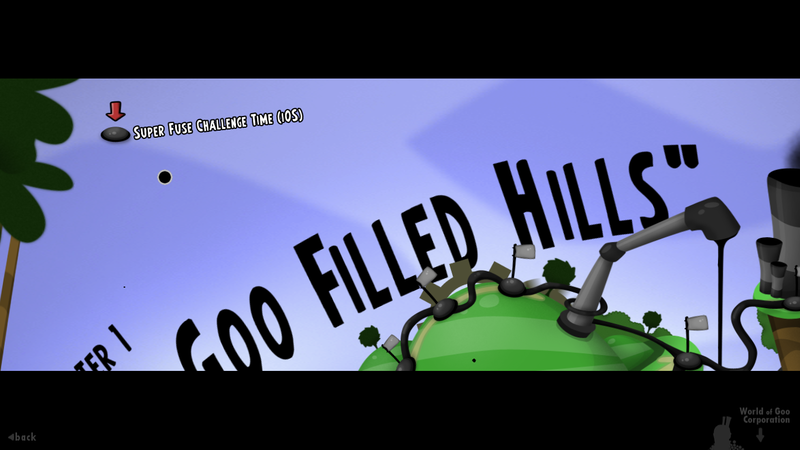 Adding the levels from the iOS versions of World of Goo to the PC version is genius, Wikigoo, not rubbish. @Mygod , I need to somehow 'talk' to you. Like, a chatting system. What about the Goofans chat server? GooFans Web Chat? But when? If you live in America, the timing will be different. I'm in NZ. +12:00 I think it is. I live in China +8:00. I will meet you at 11:30 a.m. at my time. I didn't find you at that time. Maybe I should make it by myself. 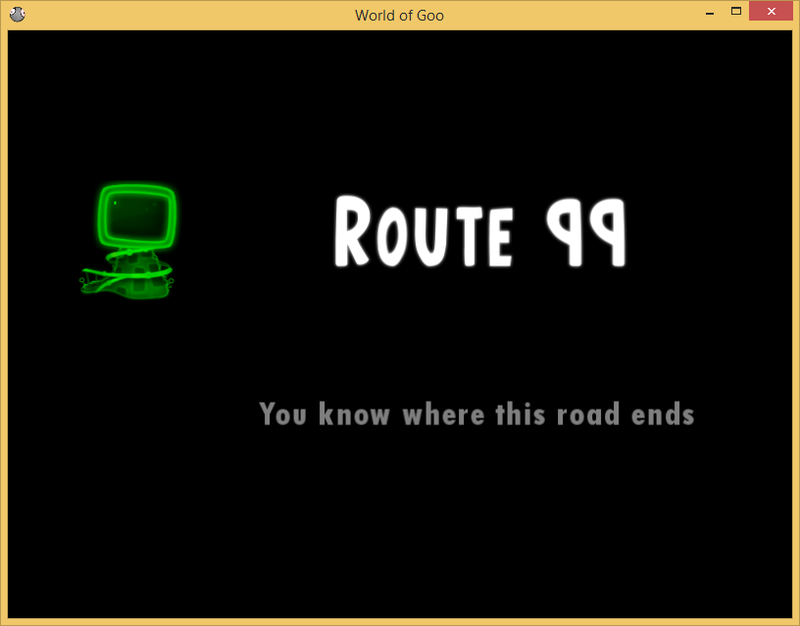 @TM13: I completed adding Route99 to the Chapter 4. 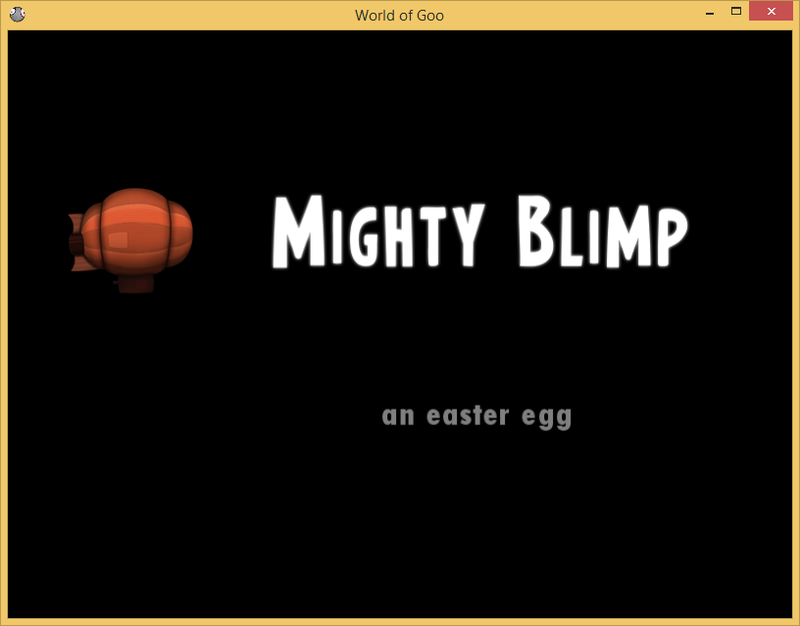 And I found that it is really hard to add Mighty Blimp to the World. EDIT: I put the island5 onclick event to the blimp in MapWorldView and put another blimp in island5. It works. EDIT: I'm publishing now. Do someone tell me how to merge island4/island5 with xsl? EDIT: OK, I know how now. I think it's time to play...thanx a lot! how the closed sign turn to a opened sign? do you want wog farlands chapter 2,3,4 and 5? Goofans, where the WOG levels come from. 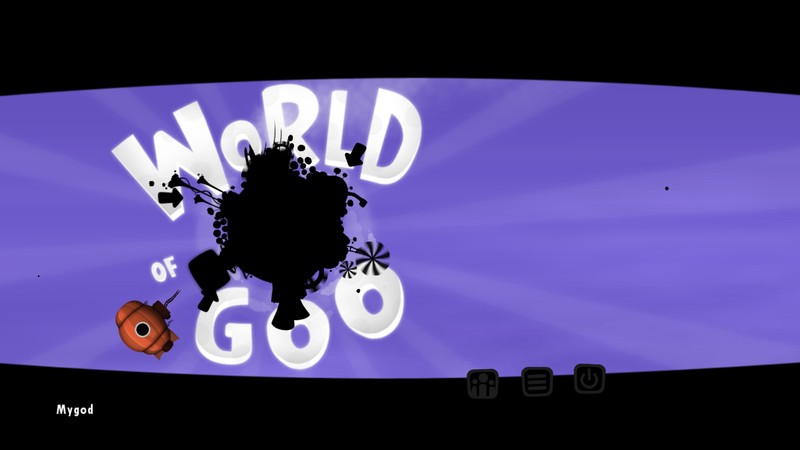 All my addin | I love you World of Goo! 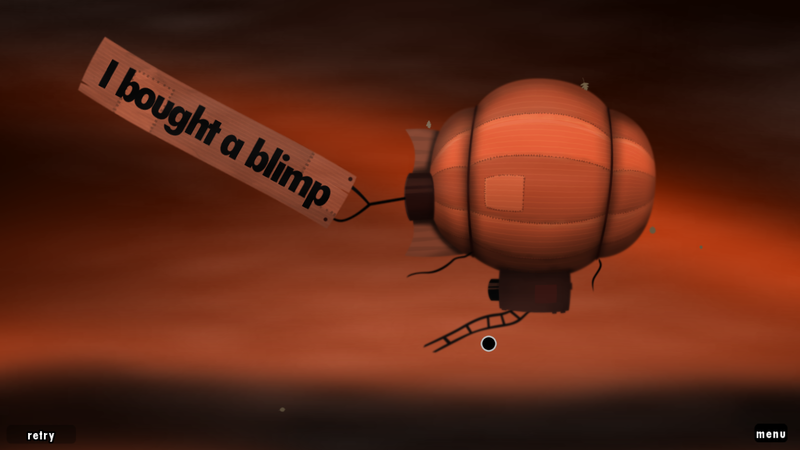 I just found that the blimp features are removed in the latest version. Maybe because they're not translatable?